I still remember curling up to cutesy bonfires on my terrace top. So much for winters, isn’t it? House parties were all about warm jammies, hoodies, wine and hot chocolate. And, before you know I’m already shopping for the next roof-top BBQ party. That’s how long winter lasted and how soon summer arrived. Urghh! That time of the year I’ve been dreading. Yes, the tan, the summery yellow dress, and fancy flip-flops sound refreshing. But summers need a lot of preparation. Considering how hot it already is, I’m not sure if any amount of readiness will suffice. But, it definitely will need some. I don’t want to get any more roasted than I already am. Let’s make a checklist of your everyday essentials, list out must-haves and go over some dress ideas. Let’s sort your summer wardrobe right now! 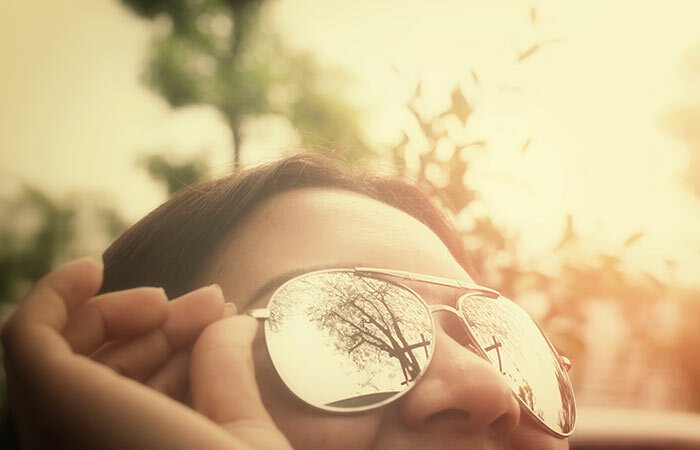 Set your shades budget aside before summer. You know that these are a must-have, so no excuses there. You need a pair or two of Polaroid shades that protect you from UV rays as well. Especially, for someone who drives to work. Treat yourself to a couple of fancies or have cheaper ones as a backup if you want. 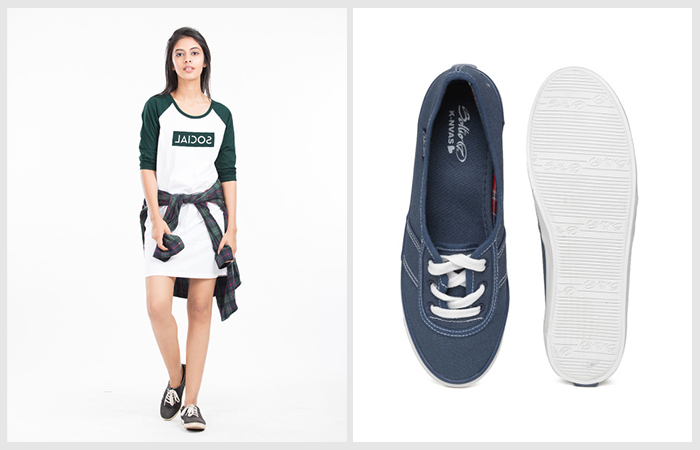 Comfortable and casual shoes should be your mantra. We all love boots and styling them with short dresses is fun, but they need to be put away unless you’re at a party with full blown air conditioner. If you’re wearing closed footwear, ensure you dry them before next use. You don’t want to choke people with the stink from all the sweat and grime. It’s a big turn-off! 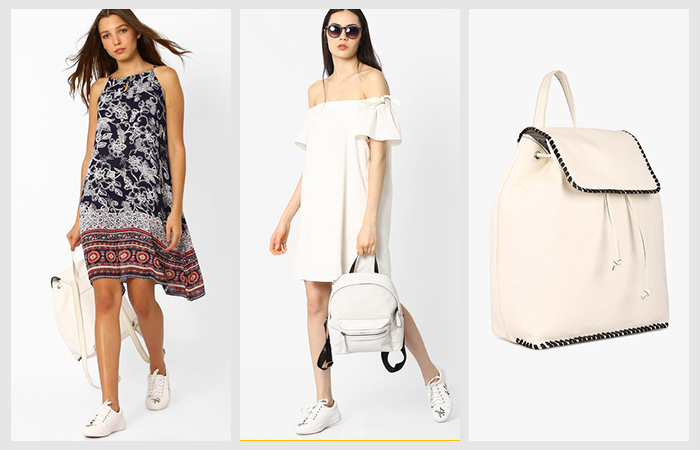 Summer bags are a must, and they are called so for a reason. You will need to stock up your bag a lot more than you otherwise would. Sunscreen, body mist, perfumes, etc. Plus the floral ones are so fun and refreshing. Fedoras or not—Hats are a must. If you think they are too fancy, carry an umbrella. 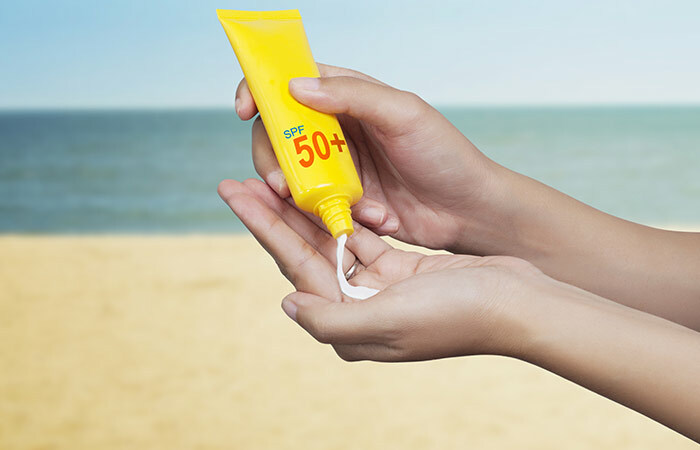 You carry and apply sunscreen, but considering the hot temperatures, it just doesn’t help. Hats for a beach vacation I’d say. Photographs look much fancier. Go with a baseball cap for weekend breakfast or brunch; it makes up for a bad hair day. Whatever your choices are; be prepared. Ok, I know this doesn’t fall under your must-have list. But you need to try a few summer hairstyles and be thorough. I thought it was worth mentioning, so here goes. If you live in a coastal city, you already know that summer hairstyles are twice as hard. 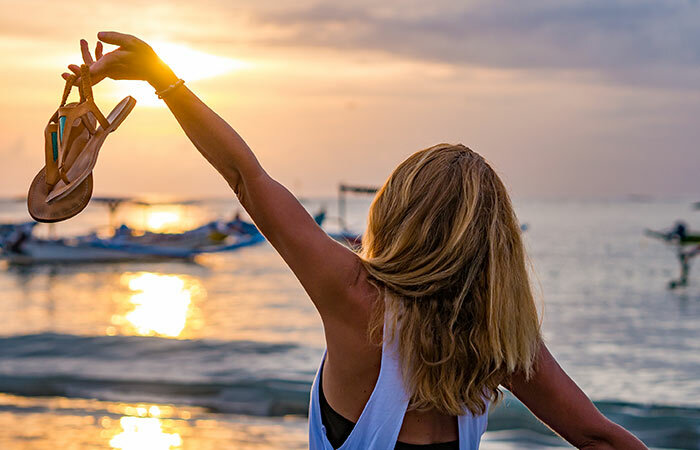 Nothing sticks because of the heat and sweat; also, because it makes your hair wavy, messy and unmanageable. The messy bun is the first thing that comes to my mind, but that won’t last you the entire season. 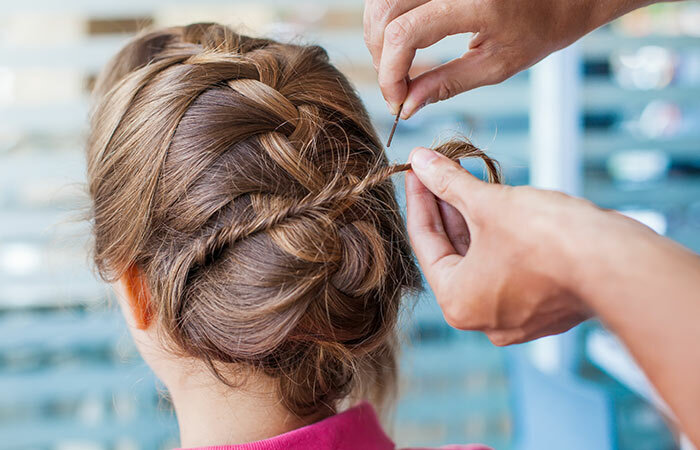 Look up a few DIY tutorial videos and try hair updos that are elegant, fashionable, intact and comfortable without being all over the place. Tank tops go with anything and everything. You can wear them both indoor and outdoors. And, you can never have too many of them. When I say yoga pants, I mean comfortable cotton ones. Not the winter sweats. I spend most of my summer shopping and other activities in these. They are just smooth on the skin and protect you from the tan. Wearing clothes in itself seems like a herculean task in summer—let’s ease it out a little, please! For most of you, it goes without saying. It is an everyday essential. For some of you who shy away from wearing shorts, do yourself a favor and try them. You will thank me later. What anyone thinks is not your problem! We are always cranky in summers and getting out is a big deal. And dressing up is a pain as you are clueless about clothing that is both comfy, yet colorful and stylish. For those of you who don’t want to make an effort to look for anything cute, this is all you will need. Wear them with culottes, shorts, trousers or just about anything. Get a pack of black and white each. They will come a long way. 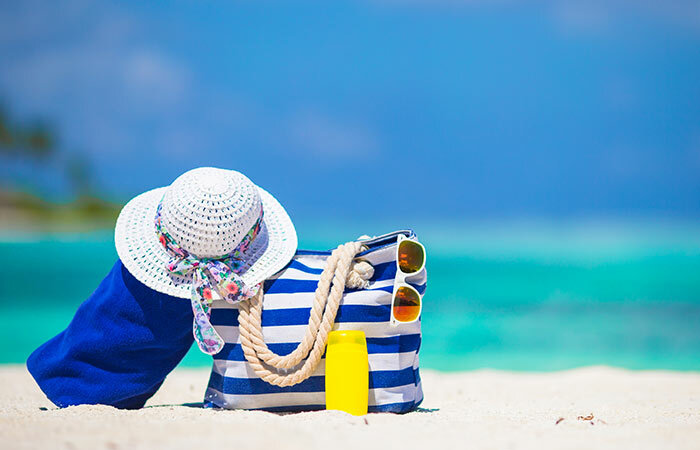 It’s a given that you will need sunscreen, for obvious reasons. Do not feel lazy and ignore; it’s a slippery slope. Sunburns are complicated and are difficult to deal with. Stop the procrastination and order one, NOW! You can use a pair only for one use during summers. I’m sorry, but this is how it works. The washes need to be more frequent than in winters. It is important to get your bare essentials right, so plan ahead and stock them up! They are airy, flouncy and most importantly don’t touch the skin—which makes them ideal pieces of clothing for summer. Go with lighter fabrics like chiffon, georgette or linen and sport them with a tank top that is either contrasting or complementing your trouser. It depends on your mood really. These are trendy, chic and seamless. 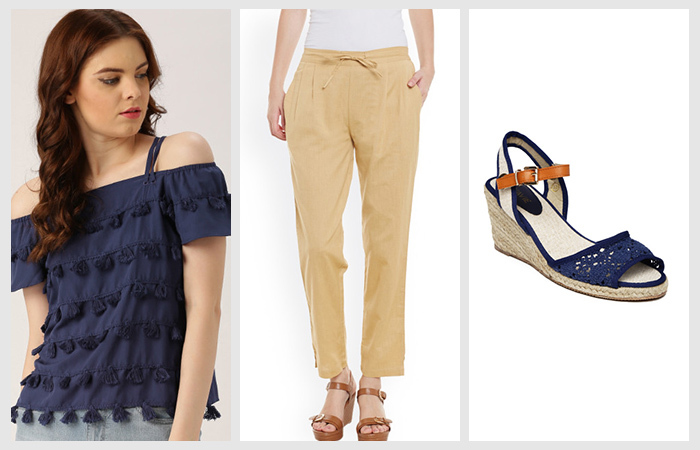 Summer looks are all about being effortless that do not compromise on style. Now, we are talking. We discussed plain T-shirts a minute ago, remember? Yes, so team it up with these culottes. The options are limitless here. They come in printed, floral, plain etc. However, choose prints that match your body type. You’re otherwise good to go with these! Shopping for a summer outfit that is suitable for work? Also, looking for something that can just be casually worn on the weekend, To a bridal shower or a house party? 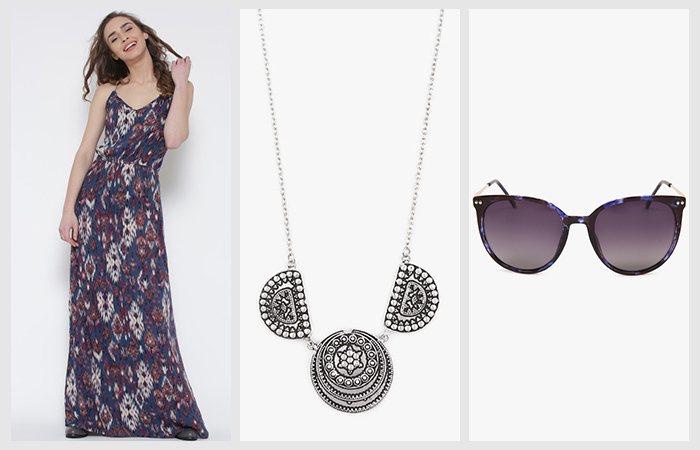 The answer to everything and anything is a maxi dress. I can never get enough of these, and I get just as excited every time I wear one or shop for these. They are easy on the skin and feast to the eyes. Suits any body type and occasion. What are we waiting for? Get a couple of them, if you have not already! Maxi skirts have become the latest fashion trend in summer. From plain, striped to bold and luxurious—the choices are limitless. You get this in split type if you like to show off those toned calf muscles. Wear these with camis and layer it up with with a cape to get protection from tan. Or, try this with a tunic top—it is one combo you cannot say no to. Crop Tops are a rage and have been so, especially over the last season. These are not going anywhere for some time now, plus they go with just about anything. Leggings, crop top, and a plaid shirt is a chic combo you could try. They go with denims—short or long trousers. And needless to say, they look great with skirts. Get a few of them to mix and match. You won’t get tired of them, in fact, you can never have enough of them! Have you heard about these yet? Cold shoulders are the next big thing. The fashion world has stylishly inched away from off shoulder tops into these cold shoulder tops, and we could not have been more grateful. It comes to prove that tweaking tiny details can make a world of difference to a style statement. They also go with absolutely any bottoms. However, dhoti pants are unique and distinct. 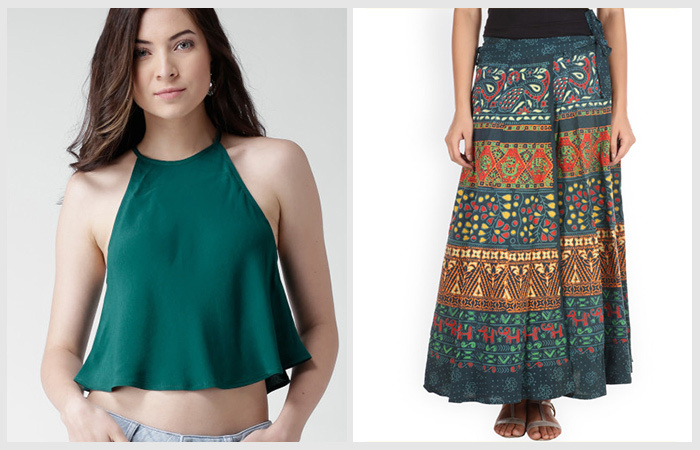 Both dhoti or cowl pants and cold-shoulder top add definition to the look. You hardly need any accessories, and that’s why we need this most in summers. Are you a fan of linen, loom or anything cotton. You are going to love this. If not, summer will make you fall for it, anyway! But, yes short linen dresses are a blessing in disguise. You just slide it down your body and not worry about anything else. So is the case with off-shoulder dresses as well. Classic, comfortable and uptown chic! Match them with bold white slips on or shoes for a summer day outing! We all love the T-shirt material, don’t we? And, most of us just sleep with a long boyfriend tops. How about stretching them and making that your daytime attire? Yes, they are very much acceptable and in vogue right now. Go with a classic shirt tied at the waist—how cute is that! This is all about the summer wardrobe essentials 2018. It’s all about staying hydrated, rocking those messy buns, killing it with reflector shades and oh-so- comfortable clothes. Sounds easy? 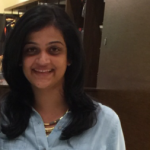 Summer outfits might seem effortless and easy to pull off unlike winters, but if you look at it – there is a lot that goes in. You need to be much smarter with your choices to make it seem that way! Be prepared and put-together! And, that’s everything you will need over the next few months to pull it off in style. Hope this helps. 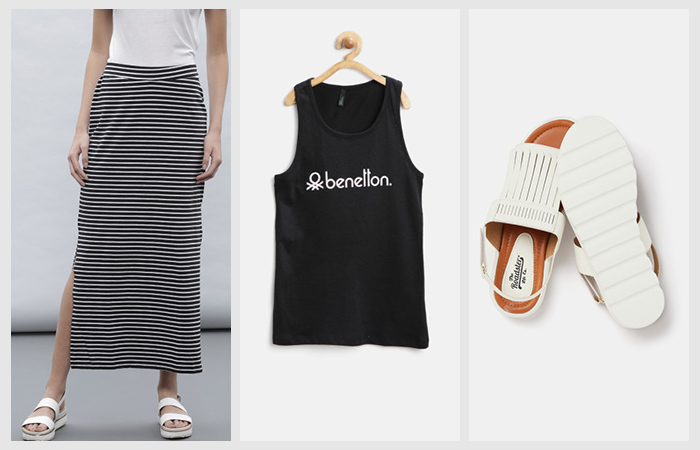 Let us know if you have any other add-ons to this summer wardrobe check list. We’d love to hear from you. Until then – Stay Hydrated And Happy Shopping!